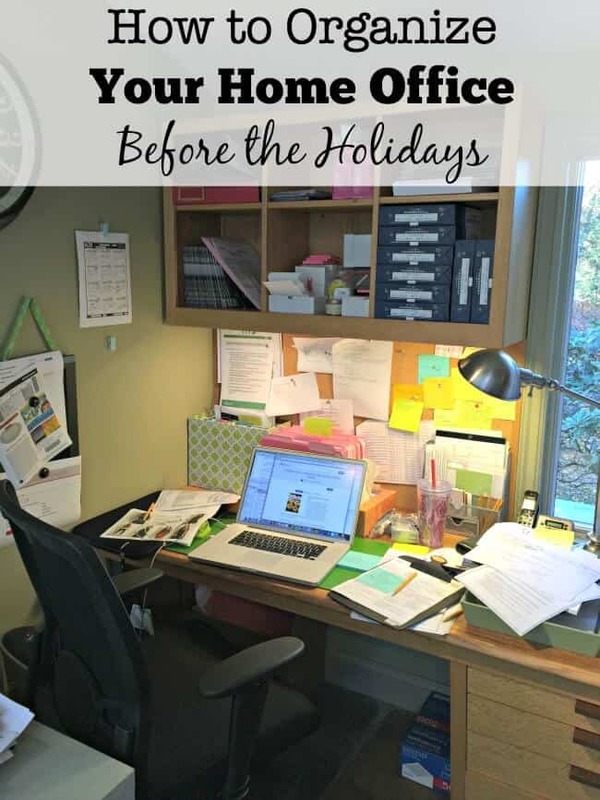 Whether you work from home or use your home office as the place to pay bills- it is definitely one area of the home that tends to get more out of control as we head into the holidays. With holiday cards to address and stamp, receipts flowing in, on top of the regular deluge of paperwork that comes into our home office- it can be tough to be productive when you buried under a mountain of clutter! So before we stuff ourselves silly with turkey, and while we are still more than 6 weeks out from the holidays…. 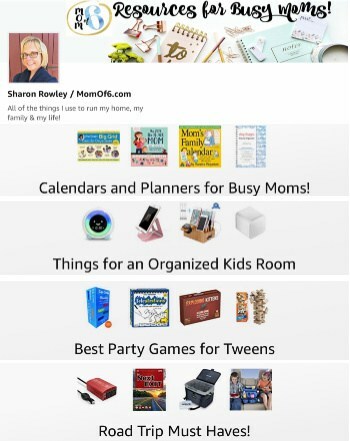 let's take some time to organize your home office before the holidays! Let's face it- this is not the time of the year to conquer a larger-than-life to do list! So I like to keep 2 To-Do lists- one for things that I need to do now (and in the next 6 weeks) to run my business, keep my home functioning, and prepare for the holidays. And a 2nd list for things that I would like to get to after the holidays. Writing it down on that after-holidays list gives you the gift of forgetting all about it for now. Cut Down On the Sticky Notes! 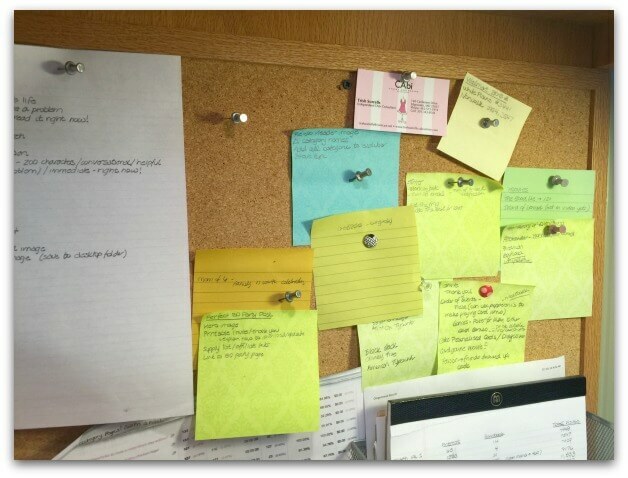 I am a huge fan of using sticky notes to help plan my priorities for the day, to jot down a quick errand list, and to even make notes about ideas I have… but when I keep attaching sticky after sticky to my laptop, my bulletin board- it becomes cluttered and overwhelming, and doesn't inspire me at all! If you share this problem- take a few minutes to take down the sticky notes- add notes to one of your 2 To-Do lists, and then recycle the sticky! I hard it very hard to be productive when I am buried in paper. I'll be diligently working on a project, start hunting for a contract or some instruction that I need to complete it- and I'll get distracted by the 15 other pieces of paper I find along the way. Next thing you know I am brainstorming for some whole other topic! Screech! A decluttered desk helps me to stay focused! 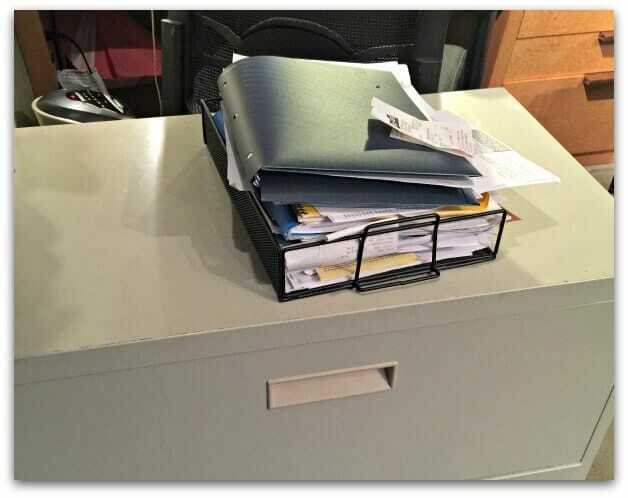 And organized files helps me to find what I need immediately and keeps me on task! 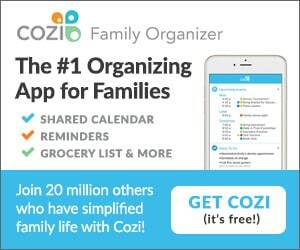 Add a note to one of your 2 To Do lists? Adding a note to one of your 2 To Do lists will ensure that you won't forget about the item- so why do you need to keep the paperwork right on your desk? You don't! 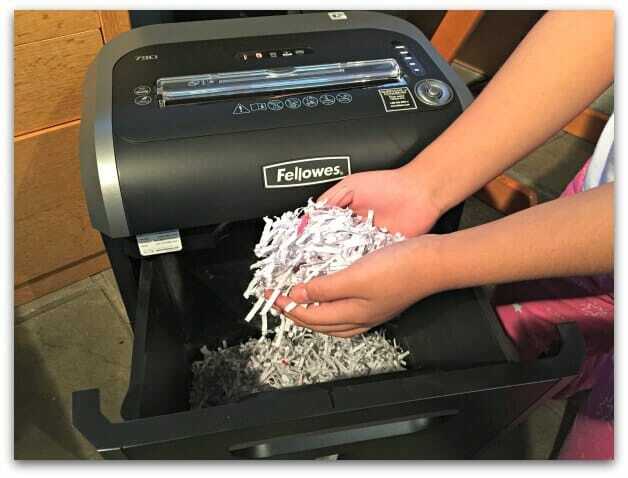 After your write it down, either file the paper so you can access it later or shred it to get rid of it. 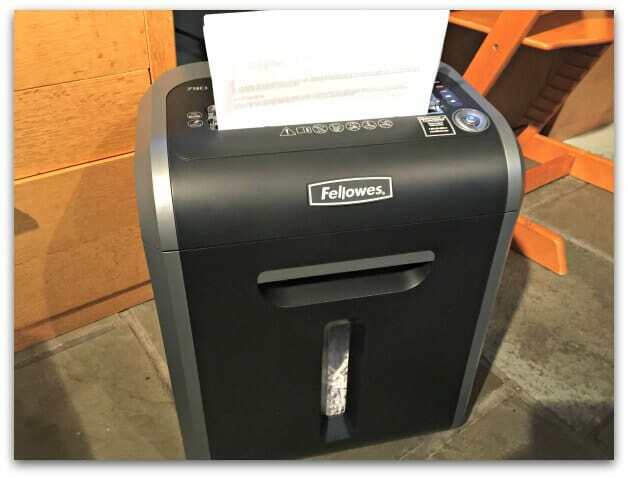 I was recently given the Fellowes 79Ci Shredder to try- and I am in love with this machine! It is 100% jam proof so even my kids can feed in stacks of paper (up to 16 sheets at a time!) complete with staples and paper clips and it will shred it to smithereens. Their SafeSense® technology automatically stops shredding when hands touch the paper opening- so I can trust that my kids won't injure their sweet fingers when they are shredding the junk mail. And it is quiet, so I can even shred paper when working in the middle of the night (boo for holiday insomnia)! 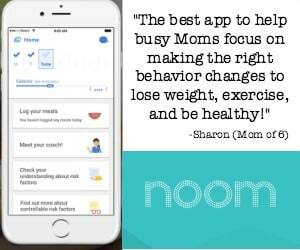 What's nice is that it has a built in system that maximizes its energy efficiency 100% of the time (both when you are and are not using it), and it has an extended 20 minute run time, which really helps you to stay productive! Side benefit? My kids want to use the shredded paper as New Year's confetti! The 79Ci is available at Amazon and Office Superstores with a suggested retail price of $239.99. I know I will need stamps, address labels, and printer ink to get me through the holidays- all of which can be ordered online quickly and delivered to my door. You know they'll be flowing in… so give yourself a place to toss them all. Then if you later if you decide to return something- you'll know just where to find the receipt! Is your home office ready for the holidays? « Blueberry Lemon Scones with Dried Plums! I love sticky notes too, but I think your advice to limit the usage is great. 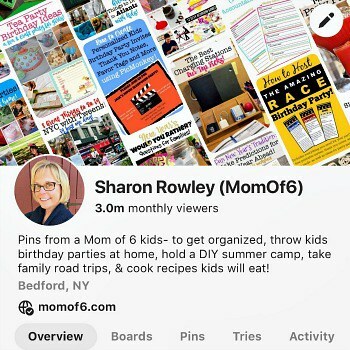 Thanks for sharing this how-to! These are excellent tips! It’s great you can re-purpose shredded paper into something fun for the kids! I fin it really difficult to organize my home office sometimes. but you have elaborated really helpful tips for the same. I enjoyed reading this post. Thanks buddy..!!! Good tips and reminders for this busy season! I have a shredder that looks about the same size as yours. I insert a clear garbage bag in the slide out ‘bin’ as I find the ‘shreds’ love to cling! The bag makes it easier to transfer the shredded paper when the bin is full. After emptying, I re-use the same bag in the bin. For receipts, I used to use envelopes but they’d eventually tear. Now, I use quart and gallon size zipper bags. They hold up much better, I can label them, a qt. bag easily folds and can be carried in my handbag, and makes it easier to find receipts when needed. This also works great when traveling and planning events, e.g. showers, birthdays, anniversaries. Thanks for the bag tip Reena!